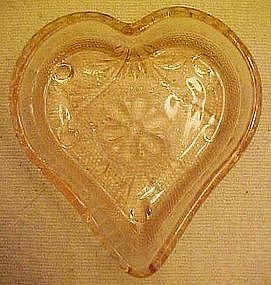 Indiana sandwich glass made these little nut dishes for Tiara. They came in several colors and is all four card suits. These are light pink and in the heart suit. Measures 3 1/2" x 3 3/4" and I have 5 available. Price is for each. See other suits and colors I have listed.